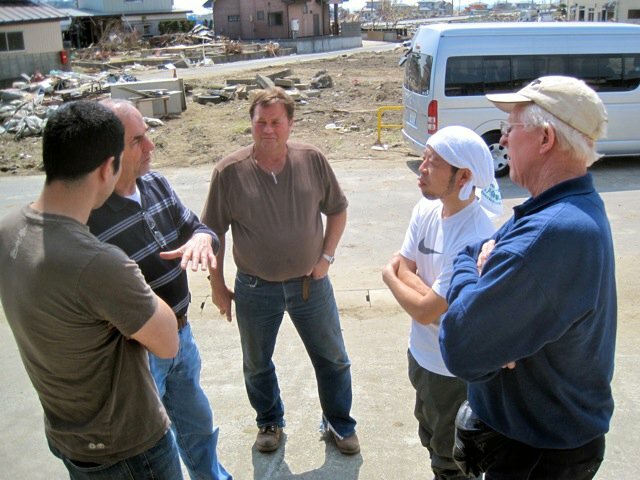 Today we visited the work-site of Pastor Tateishi. 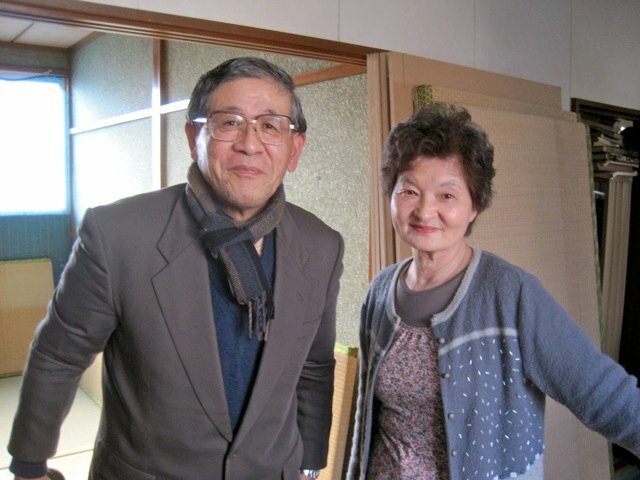 He is the pastor of the East Sendai RCJ, but we did not meet him in East Sendai. 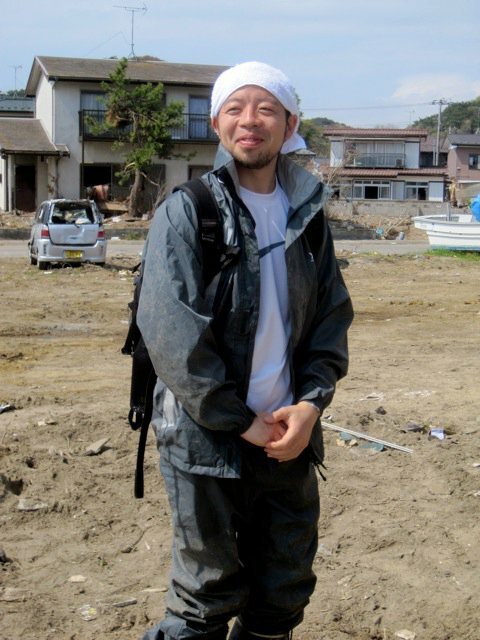 We met with him in a neighborhood north of Sendai, toward Ishinomaki on the coast. 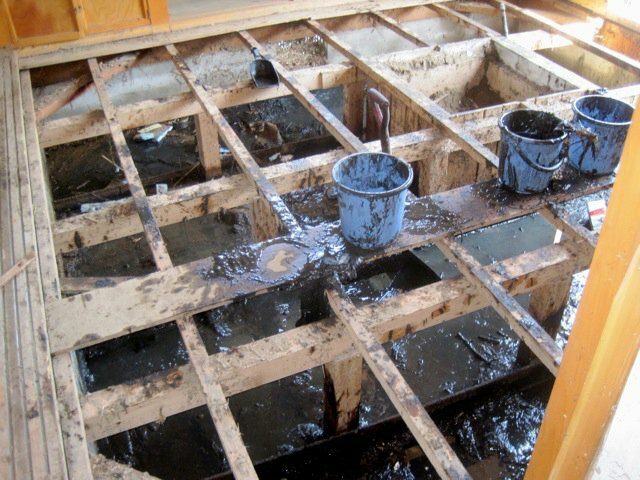 Many homes in this area were flooded up to the ceiling of their first floor with dirty black sea water. 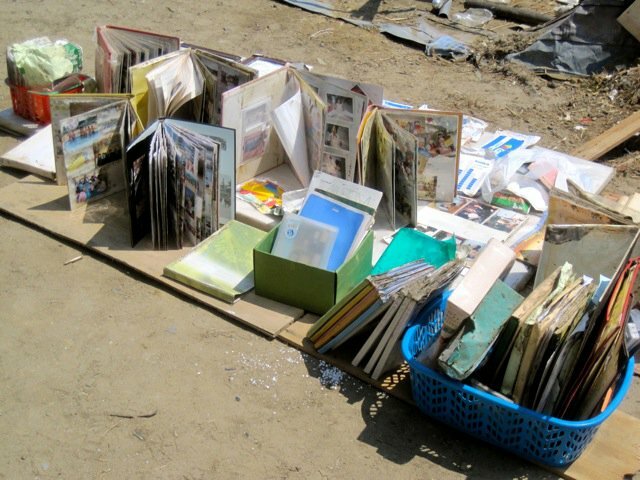 After the water receded, the photo albums, books, tvs, couches, food from the kitchen and everything else from that first floor, not to mention all the other items from outside that the water carried in, were left in one huge jumbled, soaking mess! Not only that, but this filthy water has soaked into the walls and insulation and is trapped in the crawl space under the house. 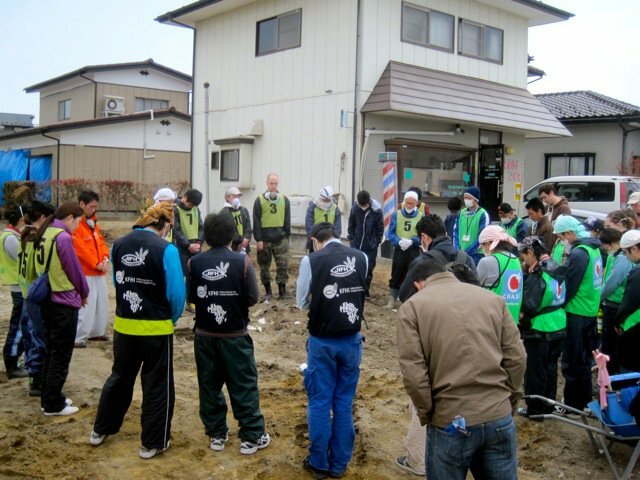 Pastor Tateishi has been leading teams of volunteers in showing the love of Christ with those who will invite them in. 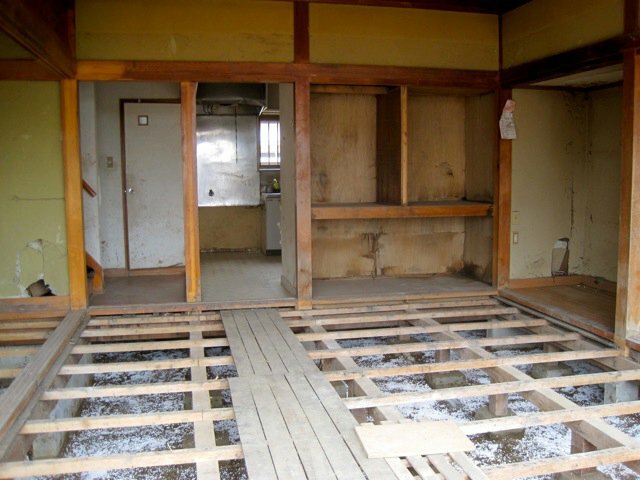 They have been dragging the contents out of the houses, power washing the first floor, prying up the floor boards and removing the acrid water, bucketful by bucketful, from underneath the house. 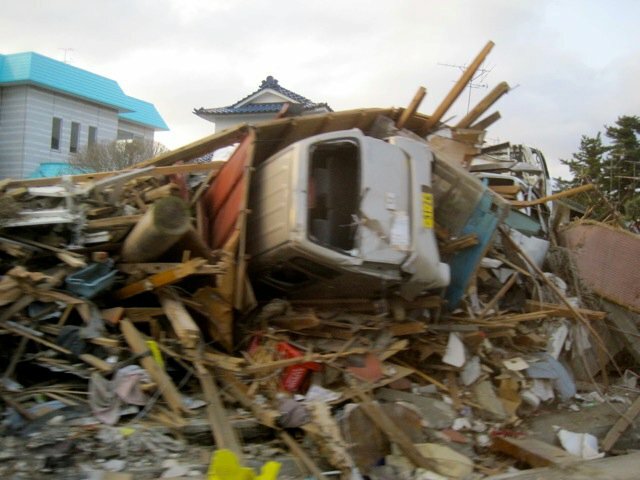 The heart-broken homeowners (most of whom do not carry tsunami insurance) are humbled and astonished by the love shown to them by complete strangers. Pastor Tateishi says that they allow the Lord to place in their path who he would have them next serve. 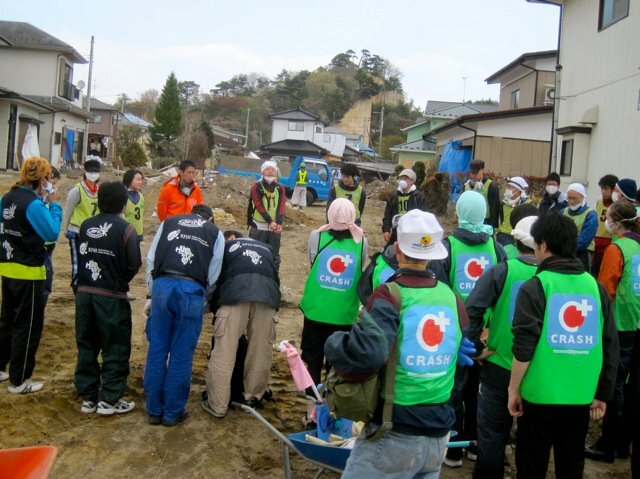 He pointed around the neighborhood, explaining that one by one, the Japanese homeowners have been opening up to be willing to accept their help, a very significant thing for the typically resilient, self-sufficient Japanese. 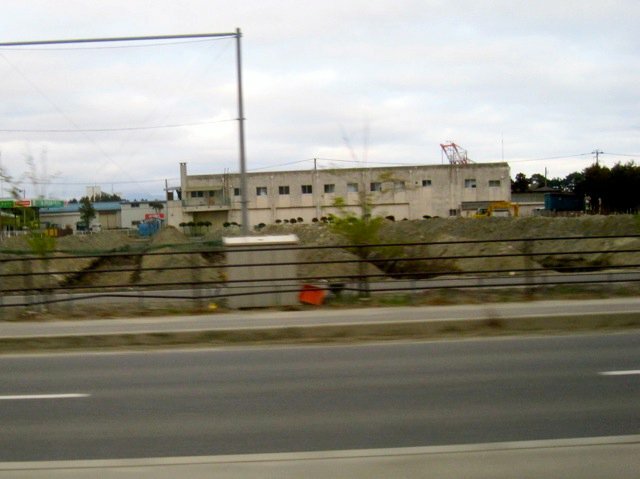 The witness of the church in this area has been immense, and they give God the glory. 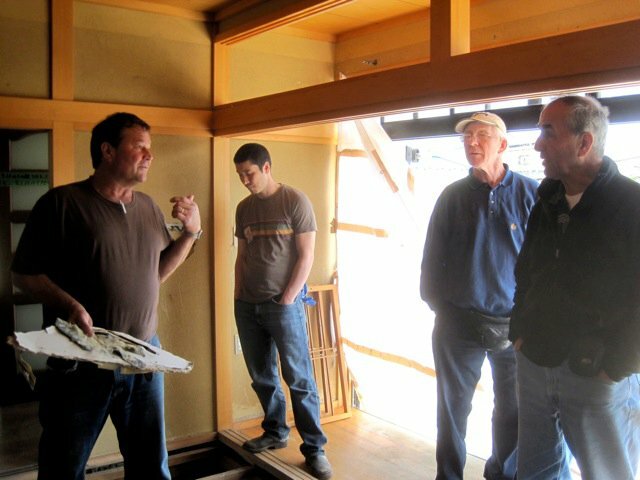 Our builder, John Voss and engineer, Luke Brown, completed thorough surveys on several of these homes, inspecting for hidden earthquake damage, seeking to get a sense of the type of repair work for which a construction crew might need to be prepared. 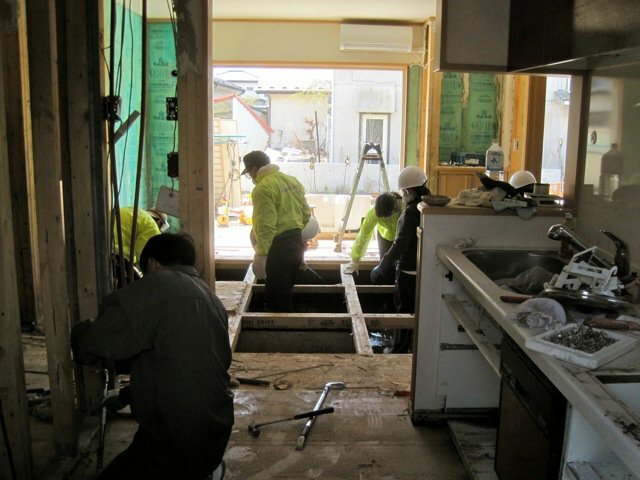 This proved to be an interesting exercise, in that most Japanese homes are "post and beam" construction in contrast with the studded wall construction we are most familiar with in the US. 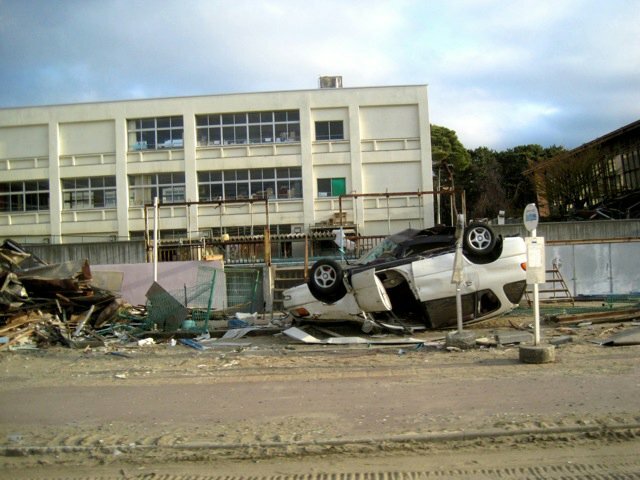 We then drove through a good bit of the devastated areas of Ishinomaki. 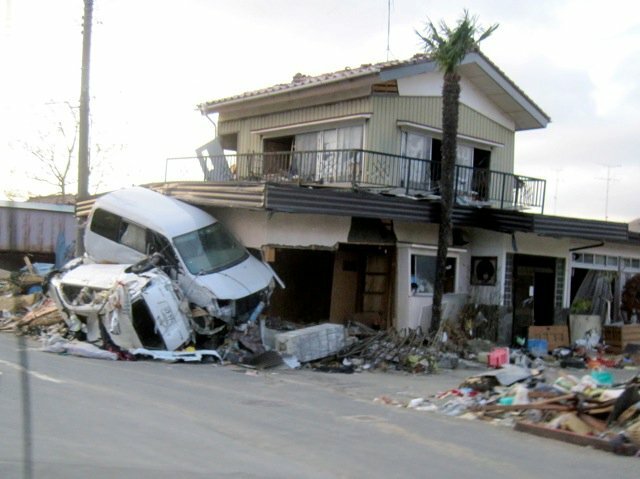 The destruction was vast, reminding me quite a bit of the destruction I saw on the Gulf coast shortly after Katrina. The immensity of the strength and power of the water is simply unfathomable. 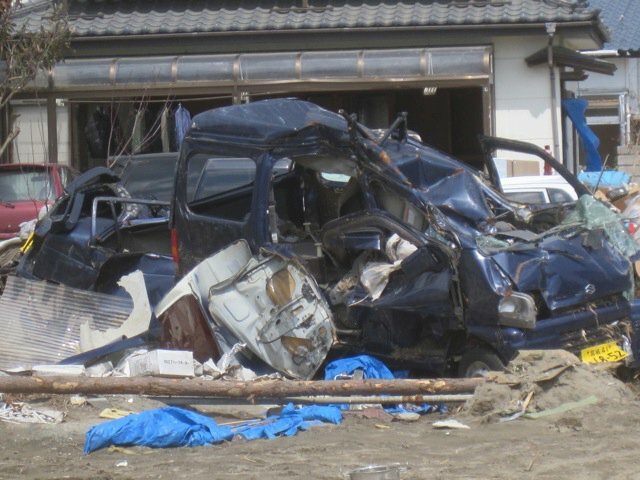 The vastness of the damage is beyond description. 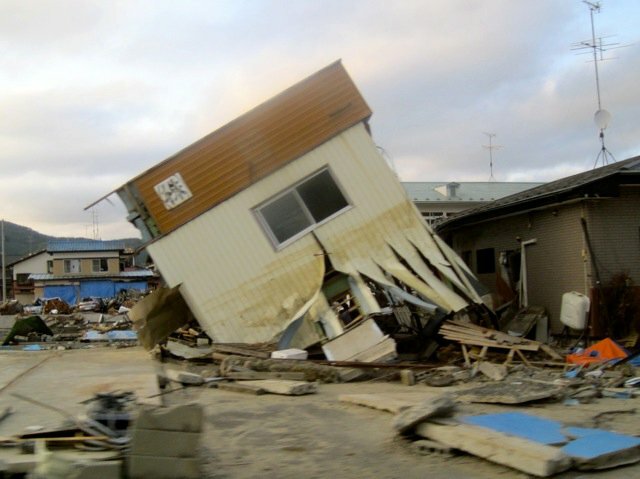 And this was our sense after only viewing but a small area of just one town out of the hundreds that have been affected. And yet, as we drove back inland just a few kilometers, life is largely back to normal with little sign of what lies just a few blocks over. Incredible how quickly life can change for one, but not another. We have continued to drive north. We have stopped for the night in Minami, halfway up to Hachinohe, on the north end of Japan's main island. For tomorrow, we anticipate a few more church visits and then a long drive back down to Sendai tomorrow. We appreciate and give thanks for your continued prayers. 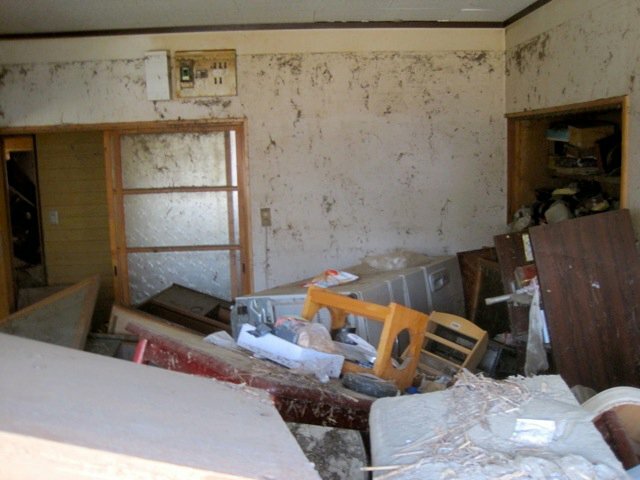 Jumbled mess ... see water line on the wall?